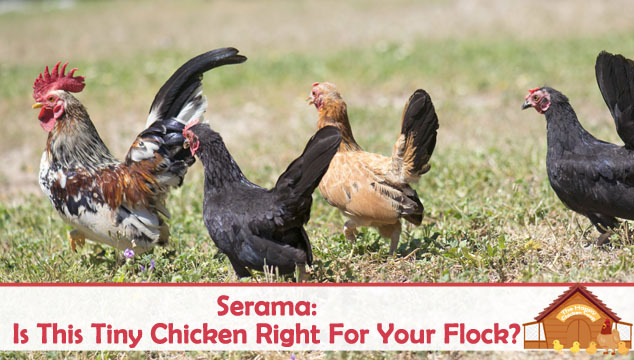 Serama: Is This Tiny Chicken Right For Your Flock? 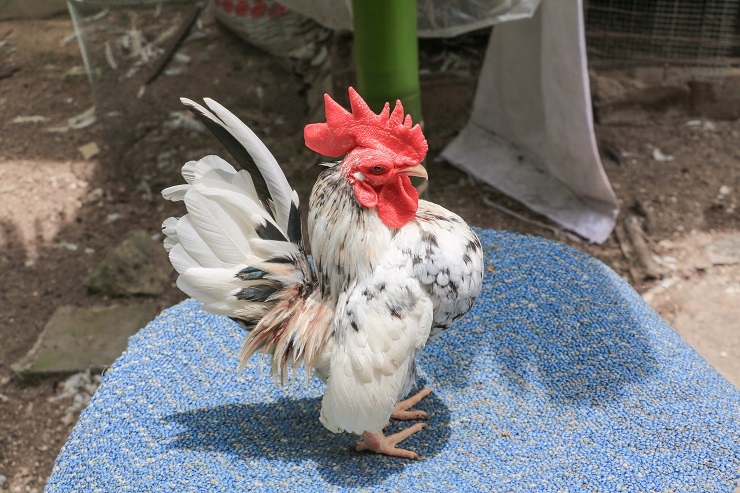 You are here: Home / Breeds / Serama: Is This Tiny Chicken Right For Your Flock? Small but mighty, the Serama lays claim to the smallest chicken in the world, and also one of the most expensive! It is a relative newcomer to the Western world, but has been known in Singapore for many years. 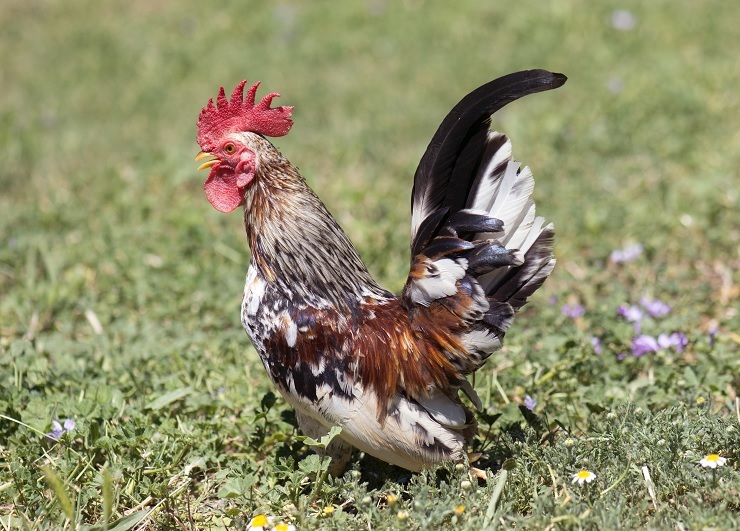 It has the distinction of being a true bantam – there is no large counterpart chicken. It has won the hearts of many and although still considered a scarcity in this country, the numbers of Seramas is on the rise. Keep reading to learn more about this tiny chicken and see if it will fit into your flock. The Serama originated in the Kelantan province of Malaysia. The beginnings of the breed can be traced back to the 1600s. However, the current strain of Seramas can be attributed to Wee Yean Een in the 1970s. It was he who gave the name ‘Serama’ as a tribute to one of the Thai kings (King Rama). It was first imported to the US by Jerry Schexnayder in 2000. This was quite an achievement since a few years later all imports were banned because of the Asian Bird Flu outbreak. The Asian flu epidemic almost wiped out these little beauties, but they have bounced back wonderfully. Mr Schexnayder later formed the Serama Council of North America to develop guidelines and standards for the breed. They were first imported into the UK around 2004, and those imports were a mix of Malaysian and North American birds. The breed was created by selective cross breeding of Japanese bantams with the local bantams of Malaysia. Seramas come in many colors – they will not breed true to one color, they also come as silkied and frizzled. The same is true for size. From one hatch you may have larger and smaller birds, but all should be no more than 10 inches tall. Seramas are tiny. They range in height from just under six inches to slightly under ten inches tall. They have a very upright ‘V’ posture; even their tail feathers are upright. They look permanently alert and ‘on guard’ and so was given the nicknames of ‘toy soldier’ or ‘fearless warrior’. The head of the bird is on the small side and is thrown back in the upright posture. The comb is single and red as are the wattles. The earlobes can be a mix of white and red. In the hen the wattles and comb are much smaller than the male. Eyes are a bay red. They have a short back; in fact there is little room between the body and tail feathers. They are very muscular birds. The shoulders are set high and the wings are held perpendicular and should almost touch the ground. The breast is full and proud, extending well past the head of the bird. Legs are muscular and wide set of medium to long length and yellow in color. They should be clean of feathers and four toes to each foot. The Serama has three separate standards depending on where you are located (Malaysian, US and UK). The Malaysian standard is somewhat confusing to most westerners since it is classified according to shape (slim, apple, ball, dragon etc.). In order to make this more intuitive for people not familiar with the types, the American standard was written as a combination of ‘slim’ and ‘apple’. They were accepted into the American Poultry Association in 2011 – white being accepted at that time. Since then black has been accepted in 2018. The Poultry Club of Great Britain accepted Seramas in 2008. Micro: Males up to 13 ounces, and females up to 8 ounces. A Class: Males under 13 ounces, and females under 12 ounces. B Class: Males under 16 ounces, and females under 15 ounces. C Class: Males under 19 ounces, and females under 19 ounces. Birds larger than ‘C’ are not accepted. Some people have had success breeding even smaller than the micro size, but that comes at a high price for the bird. The smaller the bird is the greater difficulty in hatching and rearing chicks for the hen. Even size A has difficulty in maintaining a good hatch rate. These little chickens are very friendly and love to follow their humans around in the house. 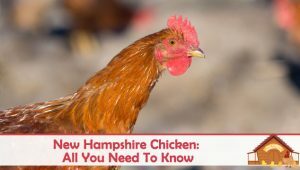 They are fairly tolerant of a wide variety of temperatures both hot and cold, but should be kept in a draft free area and above 40°F – especially chicks. They will tolerate confinement although they do like to forage. An enclosed aviary area with a grass base will keep them very happy indeed. They do not do well in a wet and muddy environment. Although they can be assertive, they are very easy to handle being a calm and personable bird – they make fabulous house pets. 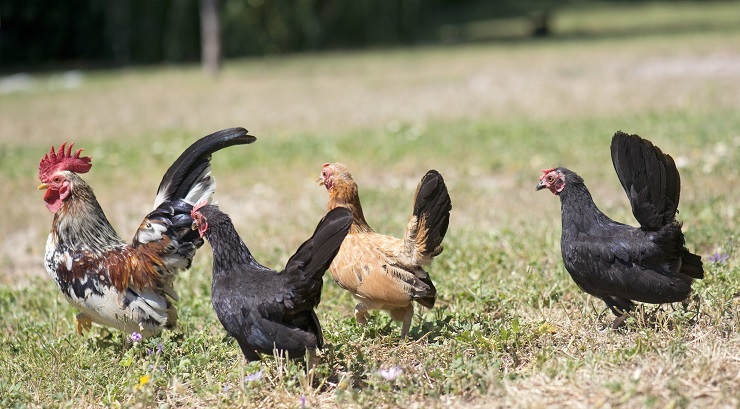 The roosters can be aggressive towards one another so should not be kept together. There aren’t any unique health problems associated with this bird, although coming from a tropical environment they can suffer in cold climates. Something else to note is the fact that they molt continuously. You will find that they drop a few feathers here and there but nothing like a major molt. Serama eggs are tiny. It would take 5 of these eggs to match the contents of one grade A egg! 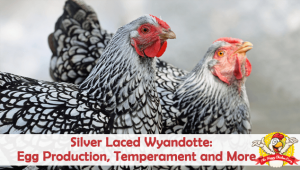 They can be prolific layers – up to 4 little eggs per week but this can vary from strain to strain. Somewhere around 180-200 per year is usual. The shell color can vary from white to a darker brown and shades between. They are year round layers and peak fertility is said to be from November to February, although this may not be true of birds raised in a northern climate. Hens can be broody and are said to make very good mothers. They should not be given more than 4-6 eggs to hatch as they are unable to cover them all adequately. The incubation time for the eggs is slightly less than others chickens at around 19-20 days only. The smallest strain (the micro) has a hatching period of 15-17 days! The Serama has inherited a lethal gene from the Japanese bantams; if it is present in the bird about ¼ of the chicks will not hatch. The legs are incredibly short and it seems the chick is unable to maneuver into the hatching position. Chicks mature into hens at the 16-18 week mark, making them early layers. They won’t fully mature until 15-18 months. Is The Serama Right For You? This stunning little chicken has become a firm favorite of many folks since they are so tiny and fit into a very small area. They are mainly kept as ornamental birds or pets. They are very sociable with people, love to be held and cosseted and are quiet compared to standard hens. Even the crow of the rooster is much softer and squeaky. These attributes also make them ideal as therapy birds too. Two or three birds can fit into a small indoor aviary or pen where they can be kept safe from predators. Although they do lay eggs for you, you will need more than a couple for breakfast! They are great with children so can make a good family pet. They generally live to be around 7 years but can occasionally make it to 10 years of age. 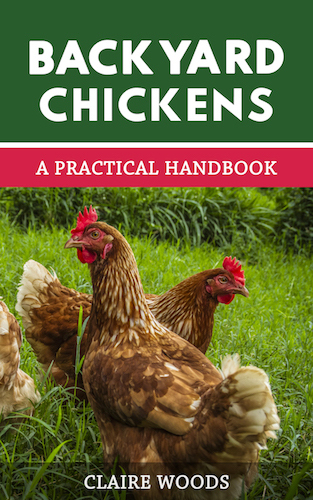 Feeding these chickens is pretty inexpensive; they will eat about 1lb of food per month. They need to eat crumbles or mash since the pellets are way too big for them. Chicks should have crumb or mash and something to note if you raise chicks – they are very tiny, so a quail sized waterer is best so they don’t drown. This fascinating little bird is absolutely ideal for anyone who wants an indoor chicken. They are smart, lovable, talkative and fit into a relatively small space. They are not as noisy as some parrots, and they are quite at home either walking or flying around the place. Of course you can keep Seramas outside if you prefer, you will just need to make sure their run is predator proof. Also make sure to keep their run dry; they don’t like boggy ground. I live in Sydney Australia and would like to know where I could buy Serama chickens or if they are available in Australia? I have two chickens and would also like to know if the Serama hens would be compatible with my two girls? What breed are your two hens? Good day, I live in South Africa and have three Silver Laced Sebrights and would like to learn more about the best way to keep them happy. Currently I do let them walk around in the coop that is on grass and in the evenings I bring them inside the house to sleep in a cat-carrier. What is the best to feed them etc. Thank you for your time.